Although sake is often described as “rice wine” to Westerners, sake is actually a fermented-grain beverage akin to beer, and unlike wine made from grapes it does not age well. So the winter months, when shinshu (freshly made new sake) is available, are the best time to enjoy this quintessentially Japanese beverage. A byproduct of the sake-making process is sakekasu, the lees left behind after the liquid is expressed from the fermented rice. While you can buy vacuum-packed or frozen sakekasu year round these days at any supermarket in Japan, the fresh sakekasu you can buy from sake makers is the best, and full of complex flavors. Before I talk about how to use sakekasu in cooking, though, I’d like to address a question that I’m asked a lot: Why are sake and its sweeter cousin, mirin, used so much in Japanese cooking? While wine, beer and other alcoholic beverages are used in European cooking, they aren’t nearly as ubiquitous. Sake and mirin are required basic ingredients in any Japanese kitchen, along with soy sauce, miso, salt, sugar, rice vinegar and dashi stock. Sake and mirin are used for three reasons. The first and most obvious one is to add a subtle flavor of the beverage itself (note that mirin is not considered a beverage these days, and is used exclusively in cooking). Both sake and mirin also add some sweetness, too. The second reason is to counteract the gamy flavor, or kusami, in animal proteins such as meat and fish, which is considered to be highly undesirable. As the alcohol contained in sake and mirin evaporates, it also helps the methylamine in animal proteins to dissipate, lessening the gamy flavor. There’s a third reason, which may be the most important. As the steamed rice from which sake is made ferments, it forms a compound called inosinic acid (IMP), as well as glutamate, the main compound of umami taste. So when sake is added to food, it enhances the umami in the whole dish, making it taste better. Interestingly, while wine made from grapes also contains inosinic acid, it develops it a lot slower than sake as it ferments. This could explain why many wines improve with aging, yet sake is considered to be best when new. In addition, wine contains hardly any glutamate. You might think that the more expensive a sake is, the better it will be for cooking and not just drinking, but that is not the case. Refined, delicate sake is actually lower in those umami-enhancing compounds than less refined, cheaper sake. So reserve your best sake for enjoying as a beverage and use mid-priced sake for cooking. This brings us back to sakekasu: It is absolutely packed with umami- enhancing compounds, making it ideal for cooking. The most commonly available form of sakekasu is itakasu, sakekasu pressed into sheets, which needs to be softened before use. Namakasu (unpressed sakekasu), which has the consistency of soft clay, is also available. In Japan, sakekasu is fairly inexpensive, since it is just a byproduct of the sake-making process. Outside of Japan it can be difficult to find. If you’re determined, look for it at well-stocked Japanese grocery stores, where it may be found in the frozen or refrigerated food section. In November, a popular science TV program on NHK called “Tameshite Gatten” devoted a whole episode to the health benefits of sakekasu. It claimed that the fiber and resistant proteins present in sakekasu helped to combat constipation and reduce LDL cholesterol levels, while its amino acids and B vitamins also added to overall health and well-being. This quickly became interpreted in the media as “sakekasu is good for dieting!” and supermarkets started to sell out of sakekasu, though not to the crazy extent of previous “diet” fads such as natto and bananas. Whether or not sakekasu will help you lose weight is debatable, but I hope that you will try cooking with this very Japanese ingredient. 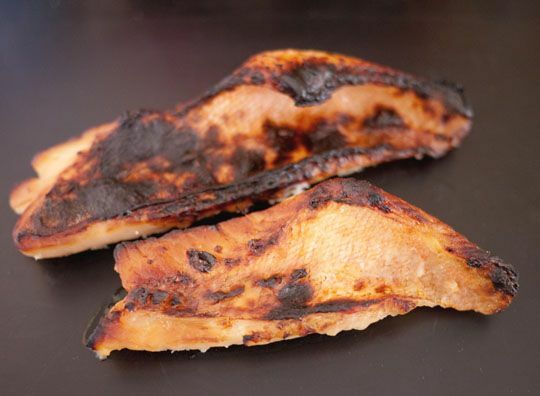 The most popular way to use sakekasu is as a marinade base for fish, meat or vegetables. If you’re starting with pressed itakasu, chop it up with a knife and soften it in a little sake or water. 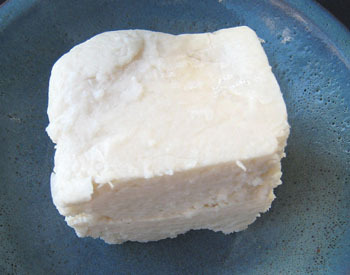 Paste-type sakekasu can be used as is. Mix the softened sakekasu with one-quarter to one-third its weight in sugar. You can also add some more sake or mirin — 1 cup to every 4 cups of softened sakekasu is a good ratio. 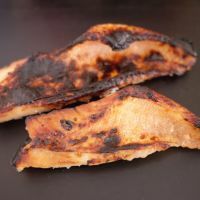 If marinating fish or meat fillets to make kasuzuke (food marinated or pickled in sakekasu), salt the fillets lightly and cover them completely on both sides with the sakekasu marinade in a closed container, and leave for at least a day and up to a week in the refrigerator. To cook, wipe off the excess marinade from the surface of the fish or meat, and grill or gently pan fry. The marinade imparts a wonderful sweet-savory flavor and an intoxicating aroma, as well as a golden glaze. Alternatively, mixing a little miso into the sakekasu marinade gives it a more complex, assertive twist that is bursting with umami. Vegetables marinated in sakekasu are not cooked afterward, so they have a stronger taste of alcohol. Traditionally, firm vegetables such as cucumber and uri (winter melon) are used. Peel the vegetables if they have a tough rind, and remove the seeds. Salt the vegetables quite liberally, and pack completely in the sakekasu marinade mix. 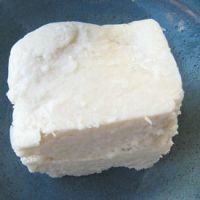 Leave in a covered container in the refrigerator for at least a week, although aficionados swear that vegetable kasuzuke needs to be marinated for upward of a month. To eat, fish out the vegetables, wipe or wash off the excess marinade and slice. Use as a side dish for any Japanese meal. 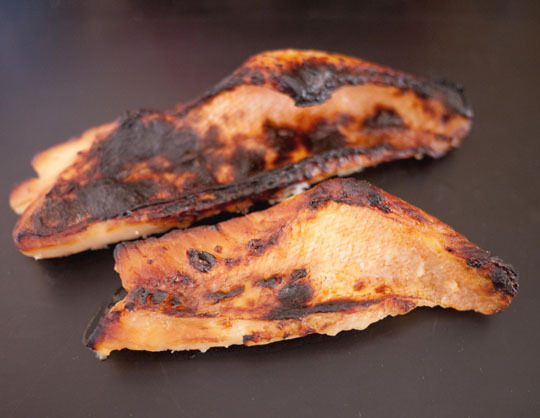 If making a sakekasu marinade sounds like too much work, you can buy ready- made fish kasuzuke at any Japanese supermarket or department store food hall. And if you happen to live in or make a trip to Nara Prefecture, don’t forget to take home some narazuke, winter melon that has been salted heavily and then marinated for at least a year and a half in sakekasu. It’s been a specialty of the ancient former capital of Japan for at least 1,000 years. Makiko Itoh is the author of “The Just Bento Cookbook” (Kodansha International). She writes about bento lunches at justbento.com and about Japanese cooking and more at justhungry.com.